In addition to our wide range of acoustic products, Wakefield Acoustics also supplies a wide range of carefully selected materials. These products have been chosen not just for their acoustic performance but in some cases for their thermal conductivity and anti-static properties. Our range of materials includes various types of acoustic foam and damping sheets, along with composite products which are used to create acoustic ‘blankets’ where a minimal reduction is required from industrial machinery. 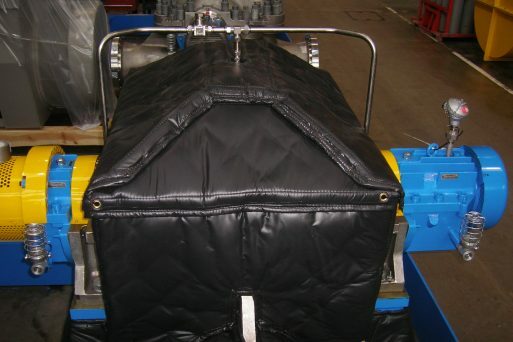 Blankets typically comprise a mass barrier core and acoustically absorbent insulation, which are stitched into a flexible outer PVC coated polyester sheet. The blankets would normally be fitted with eyelets or Velcro strips to allow ease of installation or fitting. Acoustic materials are sometimes installed in conjunction with our acoustic enclosure range and typical uses would be acoustic ‘skirts’ formed around a machine skid arrangement, or acoustic ‘curtains’ to close off conveyor apertures through the side wall of an enclosure. 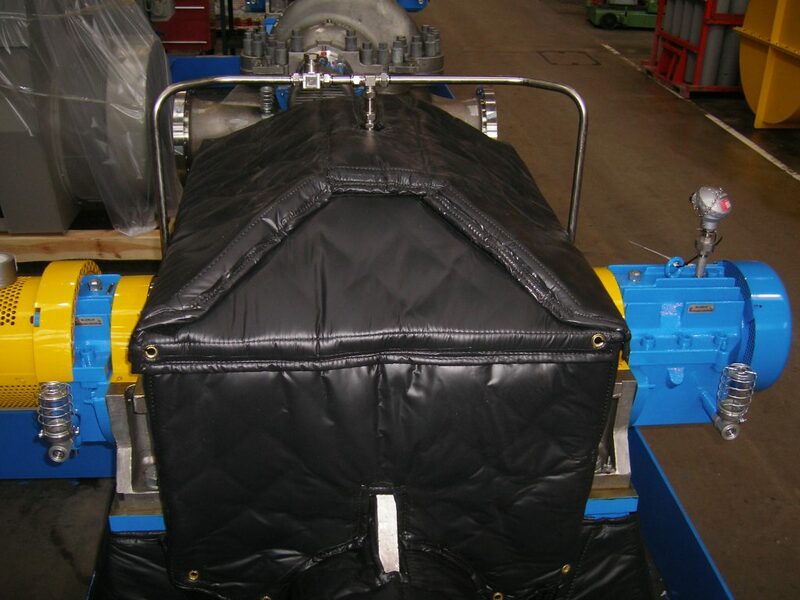 The reduction of noise breakout from machinery and pipework where the performances required do not dictate use of a panelled enclosure system. The introduction of acoustic absorption into highly reverberant areas where it is not practical or feasible to treat the noise at source. Such inclusions if carefully and correctly designed can effectively reduce the noise levels by several decibels.